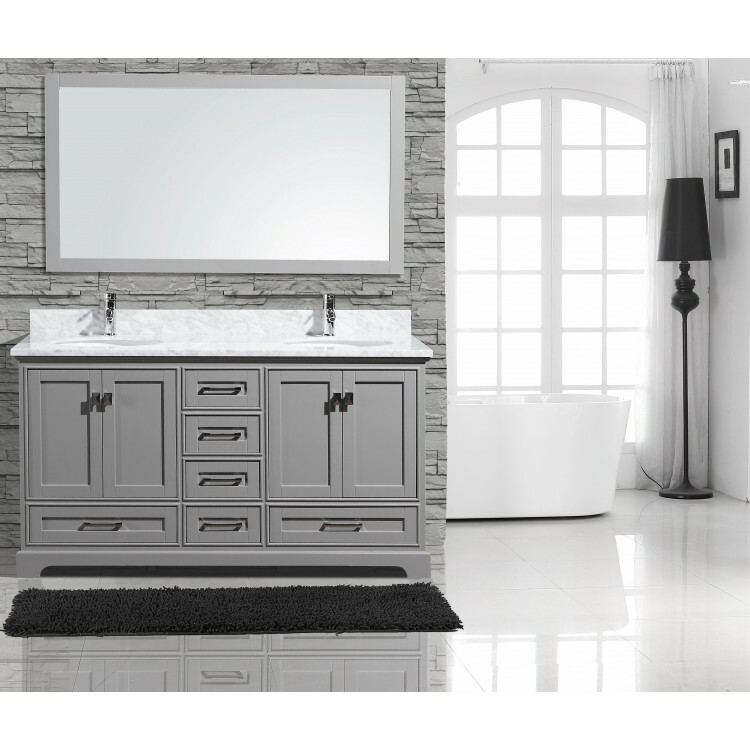 Floor standing, all wood vanity with four soft close doors and six drawers. 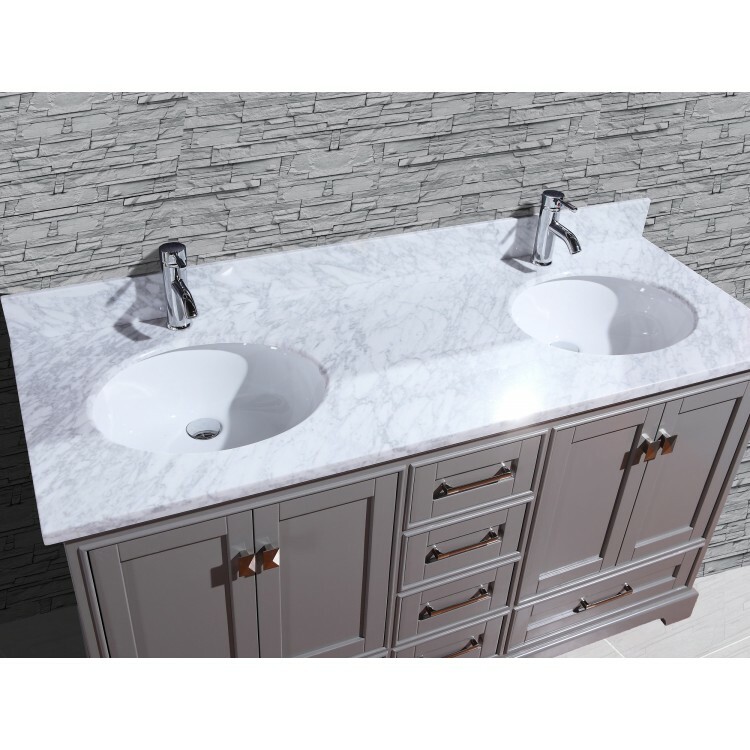 Carrera marble top with double undermount sink. Brushed nickel hardware, faucet not included. 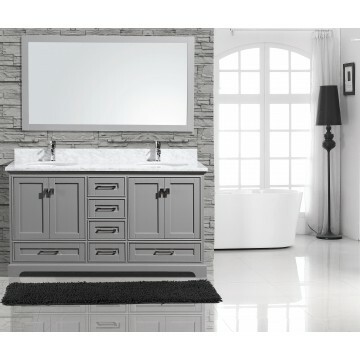 Mirror and backsplash included. Also, available in White.